Everyone loves holiday dinners. Some of us even love planning, shopping for ingredients, and cooking them! And anyone who knows me also knows I love having a showstopping dessert. I love looking at recipes, deciding which one to cook or bake, the preparation, and of course, eating it. When I was a girl, my mom would make a lamb-shaped white cake, covered in white frosting and coconut, with 2 black jelly beans for eyes. She sat the lamb on a bed of green Easter grass, the kind you put in your Easter basket. I thought it was just magical. I thought this year I would pay tribute to that cake. This cake is a modern and gownup coconut cake. The cake itself has slightly dense texture, but the crumb is very soft, sublimely flavored with delicate coconut, and not too sweet. The cream cheese frosting is slightly sweet, a little tangy, and the crunch of the toasted coconut a perfect contrast to the soft cake. I added the lemon curd filling for a bright flavor, but only a thin layer, so as to compliment rather than overpower the coconut. I also added a bit of lemon juice to the frosting to echo the filling flavor. This cake takes some time to make, but you can bake the cake, and make the frosting while it’s baking. But the time you spend will be so worth it – this cake totally rivals those cakes you have to order 3 days in advance at one of those great bakeries down across town! I served the cake at Easter dinner. It was so good! Certainly more magical than the lamb. You really need to bake this cake! Preheat oven to 400, or 380 for convection. Line 3-8″ cake pans or 2-9″ pans with parchment paper. (I apply cooking spray both below and on top of parchment.) Place unbroken eggs in a bowl of hot tap water for five minutes before separating. Separate the eggs, placing the whites in a large mixer bowl. Beat the eggs whites with a pinch of salt until stiff but not dry then transfer whites to another bowl. Set aside. Open the cream of coconut. It often separates into a liquid portion on the bottom of the can and a more solid portion above that liquid. Carefully scoop the contents of the can into a bowl, and stir or whisk until well-blended. There should be enough cream for both the cake and the frosting. Cream the butter, sugar, and cream of coconut until fluffy. Add egg yolks, one at a time. Add the vanilla and coconut extracts on low speed. Meanwhile sift together cake flour, baking soda, baking powder, and salt. With mixer on low speed, alternately add the flour mixture and buttermilk to butter mixture in thirds, until just combined. Gently fold in the egg whites by hand. Divide the batter evenly among the cake pans. Bake until wooden pick comes out clean, 15-20 min for 8″ pans, 20-25 mins for 9″. My cakes were a bit darker than cakes usually get, this may be due to the higher than usual bake temperature or the fact the 9″ pans need a bit of extra bake time, compared to 8″. It didn’t negatively affect the cake in any way, though. Cool in pans for 5 min, then turn out onto a rack to cool fully. Combine the cream cheese, butter, cream of coconut, coconut extract and lemon juice in a bowl. Beat at high speed until fluffy and light. Add the powdered sugar and beat 1 minute more. Refrigerate until ready to use. Spread the coconut one layer thick onto a large baking sheet. Toast in a 400 degree oven for 5-10 minutes, stirring every 2 minutes. Toast until much of the coconut is lightly browned. Watch closely as coconut can burn quickly once it starts to brown. Spoon toasted coconut into a bowl and let cool. If you have 2-9″ layers, you need to cut each one horizontally, to create a total of 4 layers. With the 4 cake layers, you will have 3 layers of filling. Place one cake layer on your serving plate. Cover with half of the lemon curd. It will be a very thin layer. Sprinkle a handful of toasted coconut on top of the curd. Next, place a second cake layer. 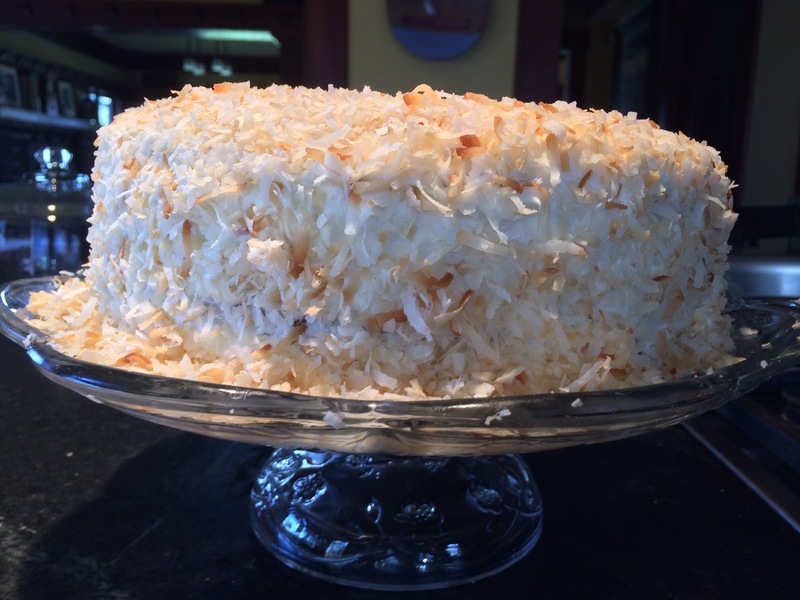 Frost with a layer of cream cheese frosting, and another handful of toasted coconut. 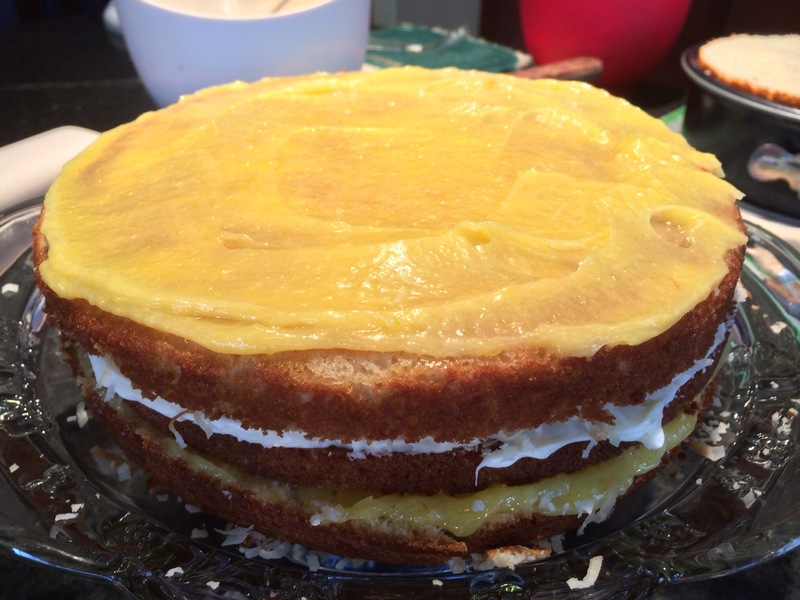 Then, add the third cake layer, followed by another layer of lemon curd and a handful of toasted coconut. 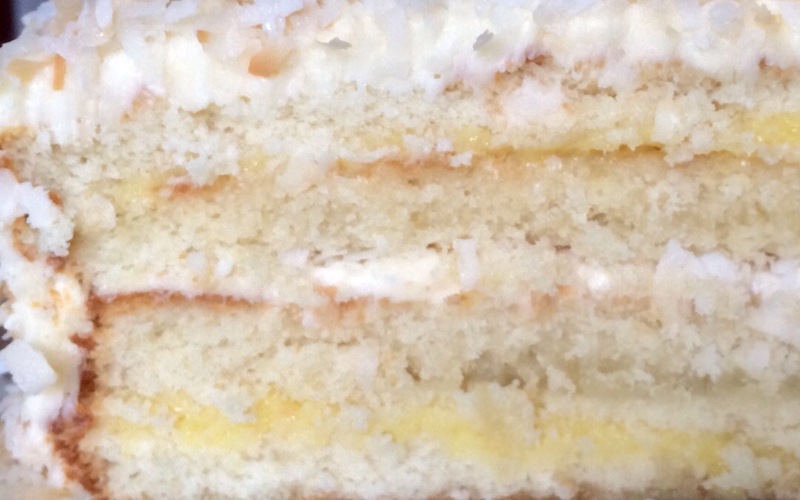 Place the 4th layer atop the lemon curd/coconut layer. Then, frost the entire cake with the remaining cream cheese frosting. 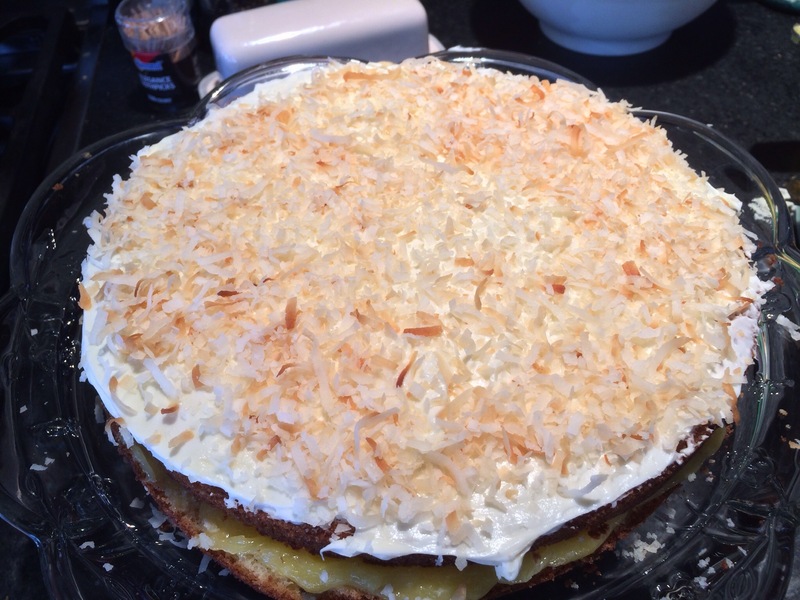 Sprinkle and place as much toasted coconut as you can over the top and sides of the frosted cake. You may have coconut left. Store cake covered. You can store it in the refrigerator, but you will want to bring it to room temperature before serving. If you have 3-8″ layers, you can use one layer of lemon filling and one of cream cheese, or both lemon, however you wish. 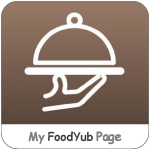 Serve, enjoy, and be ready for rave reviews!